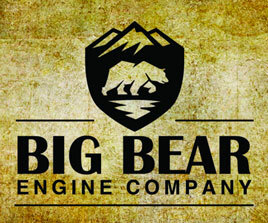 It is important for us at Big Bear Engine Company to help our customer retain their privacy in accordance to worldwide practices regarding customer privacy and data security. We will not give, sell, or trade your name, email address, phone number or any other personal information collected during the course of doing business. In some cases 3rd party vendors (website programmers, data analytics, hosting, security, information technology specialists or email marketers) may have access to your personal information but all are trusted large companies that are in compliance to anti-spam and security measures. The only purpose they may have with your information to assist us not to sell or trade your information.